“The words are not enough,” the poet said at the sight of the Krushuna waterfalls. This is one of the most beautiful places in Bulgaria. So impressive is this creation of nature that simply can not be described, only seen. 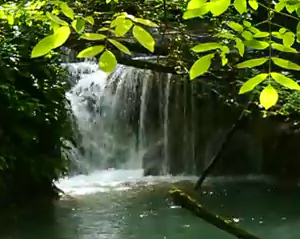 Wild wilderness, clean and untouched by civilization – this is the place of Krushuna waterfalls. To get to them, you walk along a wonderfully beautiful eco-path with many wooden bridges and stairs. Around you there is a dense vegetation, which makes it hard to see even the sparkling Maarata River, along which the path traverses. Walking in the mountains, suddenly you can see the incredible picture of the unique Krushuna waterfalls. A whole water fairy of thresholds, pools, galleries, alternating as far as the look goes. 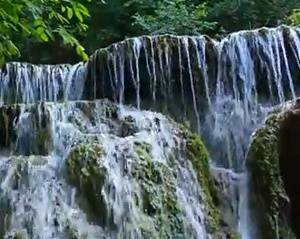 Falling from 15 meters of karst rocks, Krushuna waterfalls are unique in beauty and impact. The path continues to wander between ponds and ponds, along river rapids and cliffs, reaching karst cave galleries and halls in them. Krushuna waterfalls are actually the largest water travertine cascade in Bulgaria. Continuing on the eco path, you finally end up at the cave from which the Maarata River – the river that creates this beautiful water spectacle called Krushuna Waterfalls. Here, to the very entrance of the cave, you can get off and cool in the cool quiet and calm waters before they venture into their escape along the karst rock masses down. Reaching the spring to the point where Krushuna waterfalls leave is a truly unusual experience that stops breathing and stays its footprint forever. See one of the many movies that sealed the unique beauty of the Krushuna waterfalls. Krushuna Waterfalls is one of the most picturesque and beautiful natural places in Bulgaria. 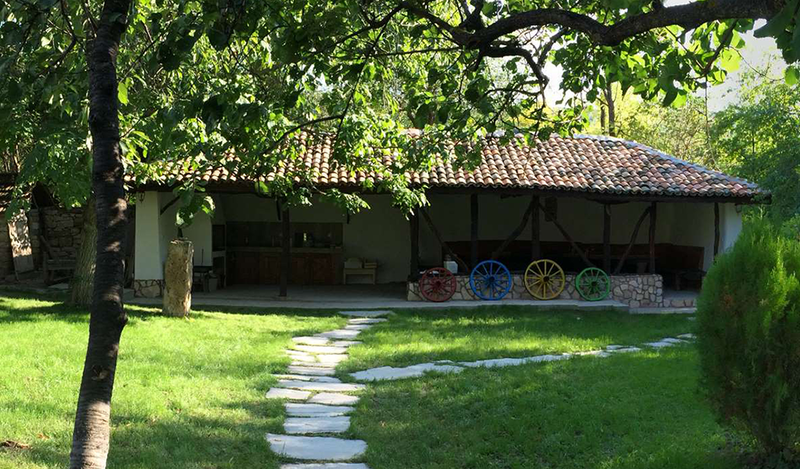 As their name suggests, they are located in a newly-pristine region of Bulgaria – near the village of Krushuna, Lovech. 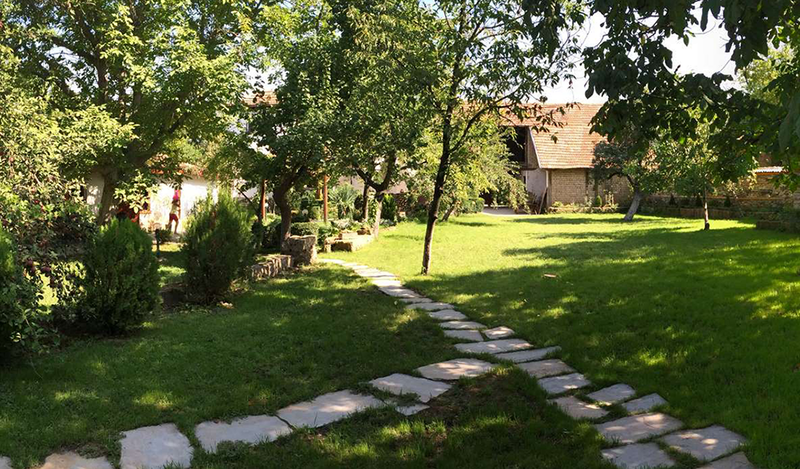 The small picturesque village is situated about 30 km away from Lovech in Letnitsa municipality. 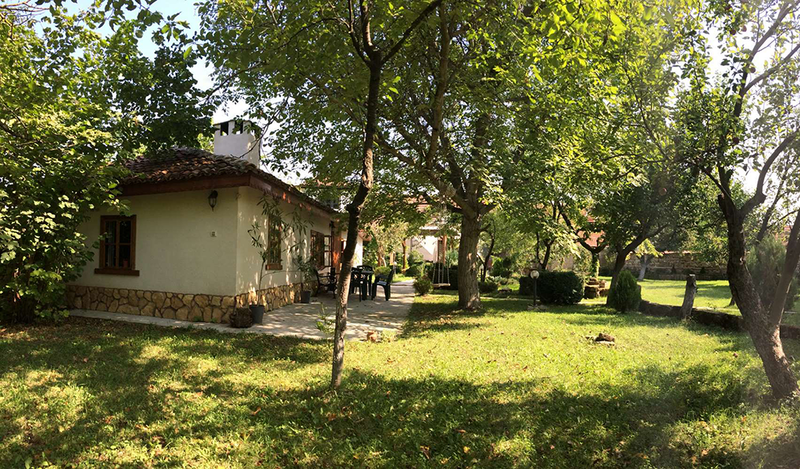 It is also relatively close to Pleven – 50 km. Krushuna waterfalls are the largest water cascade in the country – they include numerous water basins, waterfalls and a wide variety of plant and animal species. The unique and magical view of the waterfalls stops the breath of thousands of visitors and the area can be seen in all its splendor and beauty in the spring when the new beginning and the new life begins. Access to Krushin waterfalls is as easy as possible to allow more people to admire its incredible beauty. The starting point is the village of Krushuna, from where the main eco path leads to the waterfalls. There is an asphalt road from the village, which ends with a large and comfortable parking lot. There is a pedestrian zone that takes you to the bottom of the waterfalls, and from there begins climbing along the winding path between water thresholds and pools. Although terrain is not the lightest, it can be overcome by children as well. The visit fee is rather symbolic – BGN 1. 15 wooden bridges along the course are covered to cover the entire falling water table. Thanks to this, you can look at the waterfalls in all their glamor. The complete tour takes about an hour and a half, and a mountain guide can be hired. An interesting fact is that in the region there are 4 of the 30 largest caves in Bulgaria. The cave from which they spring is named after them – the Waterfall. Although it is about 2 km long, only the first 150m are open to tourists. The Krushuna waterfalls, also called Maarata, are a travertine water cascade, with many thresholds being formed along the water path. The largest waterfall drops about 20 meters in height, splitting into a few smaller ones. The place resembles an exotic island and would be totally impassable if a secure eco-path leading to the top of the waterfall cave, which gave rise to the picturesque waterfalls, was not created. The eco-path crawls along the clear and cool water and snakes past the limestone rock around. It allows many visitors to enjoy incredible views: waterfalls, running water, plenty of water pools and rich vegetation around. This atmosphere creates the feeling that you have come to an exotic place described in the books or seen in the movies. The water that flows along the rocks brings coolness during the hot summer days, which are the most preferred for visiting the area and creates a unique atmosphere of coziness and tranquility. The main waterfall is divided into sleeves and hence smaller water cascades that fall, forming many beautiful karst terraces. Besides the main waterfall, the cascade also includes two smaller waterfalls, one of which is called the Little Maarata. Thanks to the area with many paths, visitors have the opportunity to climb to the source of the waterfalls and reach several caves, which are located near Krushuna. These caves are the Devetashka Cave, Gornik and Uruska Maara. The air is damp, with millions of drops of water every second rising and falling to the ground. For hundreds of years, the water jet has carved thousands of thresholds and bumps into the rocks. It has also formed small ponds and ponds that are extremely clear – so clear that one can safely look around them. The water of the Krushuna waterfalls is colored in bright blue due to the dissolved travertine inside. This is a type of limestone that is sandy in color, but when released into water, it emits a blue color. It occurs in warm mineral waters or waters rich in calcium as it is produced by the deposition of calcium carbonate characteristic of such springs. 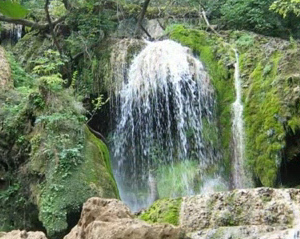 Krushuna waterfalls are the largest water travertine cascade in the country. The rocks are predominantly of bigor, which is spur and has limestone origin. This explains why they are so carved from the water and form bizarre shapes on the surface, and underground – beautiful cave galleries with underground lakes. In the 13th and 14th centuries, the beauty and unique atmosphere of the area attract the monks of the Ishishthas who build their cloister in this place. When the Hesychmus was born in Bulgaria, monks founded a monastery in the rocks near the waterfalls, believing that they could merge with God in this place. The cells of the mosquitoes were built in the rocks and were further carved and shed. Today, unfortunately, only ruins can be seen. Nevertheless, this is proof that there is something inexplicable and magical in this place. Visitors can still see the rock niches and cells that were inhabited by the monks. 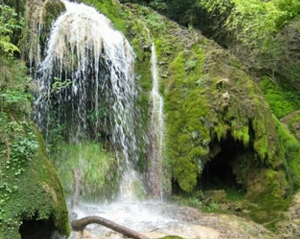 In 1995, the Krushin Waterfalls were declared a protected natural site. Because of its beauty and picturesqueness, it is becoming an increasingly attractive attraction for many tourists. In recent years, the approach to waterfalls has been made extremely convenient with the built eco-pathway, allowing visitors to enjoy themselves in close proximity to this beautiful natural water cascade system. Krushuna waterfalls are a place where you will truly be physically and physically loaded. Anyone who has visited them will not forget their enchanting impact. The noise of the falling water is really soothing and somehow captivating. You have the feeling that you can not get enough of this sound. The eye enjoys the view of the Blue Pool and the numerous terraced formations where you can enter the water and feel its life force. The vegetation around creates the feeling that you are in a jungle. Some water drops fall permanently from plants, which is very relaxing. The environment seems to be electrified. As if you suddenly got into a healing capsule that takes away the stress of our busy everyday life. What can we say about water – something so common and familiar, and at the same time filled with mystery and mysteries. Every day we face it, we carry it in ourselves. For those who do not know, 70-75% of the fluid in the human body falls on the water. One can endure more hungry than craving. Some may consider it unimportant, but since ancient times it has occupied the minds of scholars and ordinary people. Its drilling and shaping power is evident in many places. Yet 2500 years ago, the great Chinese philosopher Lao Tzu said about the water: “There is nothing softer and more subtle in the world than water, but it prevails over the solid and healthy. No one can overcome it, although everyone can beat it. Ancient Greek scholar Hippocrates, who is called the “father of medicine”, was the first to treat diseases through water. He himself has used drinking water and making healthy baths to heal from a variety of diseases. During the Persians and the Greeks began the construction of public baths. The Greeks were probably the first people to use the bathroom for personal hygiene and for health reasons. Some of the best architectural achievements in ancient Rome were the public baths with hot water where there were all amenities and also separate meeting rooms. At times the number of public baths in Rome reached nearly a thousand. The large bathrooms were called thermal baths. In Bulgaria, which is very rich in mineral springs, remains of Roman baths have been found in many places. The remains of the Roman baths in Varna are the largest public antique building ever opened in Bulgaria. The building stretched over 7,000 square meters of space. Remains have also been discovered in Diocletianopol (Hissarya), Svishtov, Pautalia (Kyustendil) and others. All this shows the ancients’ attitude towards the water and its healing properties. Lately these things seem to be reinventing. There are many publications on the subject of water. The Water movie, which talks about the properties of water and its impact on man and the environment, has become a hit on the Internet. We need water to drink it, listen to it, watch it, bathe in it. Man is physically and mentally charged by and around the water. We need to pay more attention and give it a proper place in our lives. Some say that waterfalls are places where man is purified and healed. In the air around them a saturation of negative ions is formed. There really is something “magical” in the vicinity of Krushuna waterfalls. Because of all this, it is worth a person to spend a day and visit this place, where he will be fascinated, and his soul will be loaded for days ahead. Most of us have some basic knowledge of the mountains, the rivers, the reserves in Bulgaria. But if anyone asks us what we know about waterfalls in Bulgaria what would we answer? Besides other natural sights, Bulgaria is filled with many beautiful waterfalls, the number of which is about 300. Of course, they are not as big as Niagara or high as the waterfall Angel, but each one has its charm and beauty, which is why it is worth see. Waterfall “Raiskoto praskalo” – the highest waterfall in Bulgaria and the Balkan Peninsula. 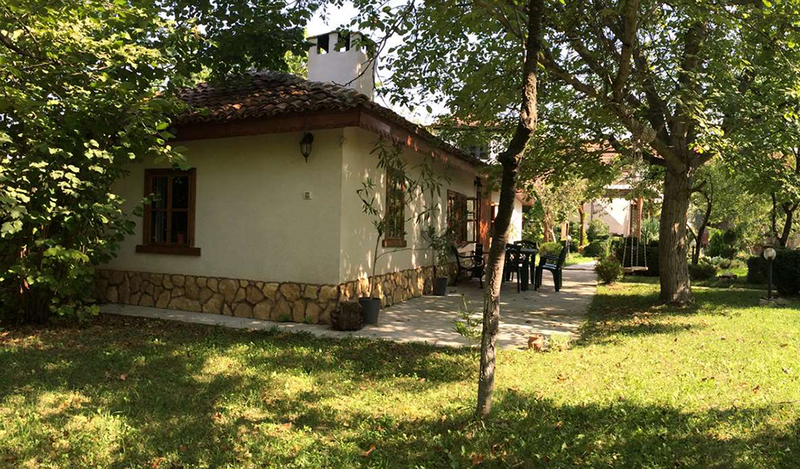 It is located in the Central Balkan National Park and more precisely in the Djendema Reserve. It is 124.5 meters high. At its foot is the hut “Paradise”, from where you can go to the waterfall. Skaklya waterfall, which is near Vratsa – it boasts the highest waterfall in Bulgaria with a height of 141 meters. 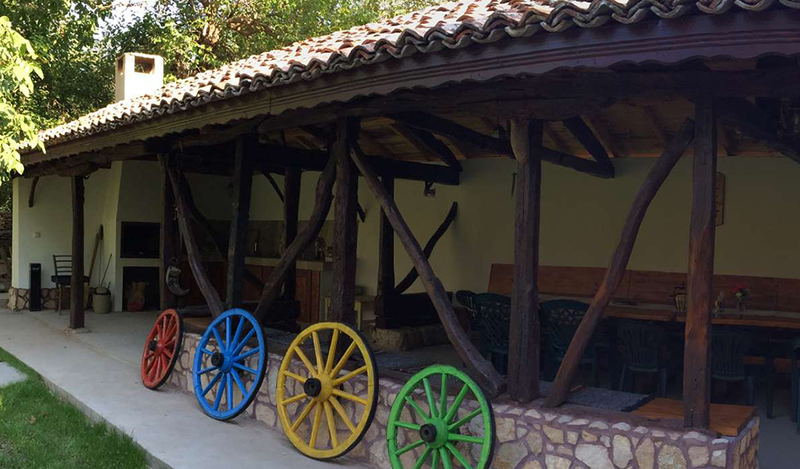 It is situated in one of the most beautiful places in the Balkan Mountains, among forests and rocks. It is best to visit after rains when all its beauty can be seen. 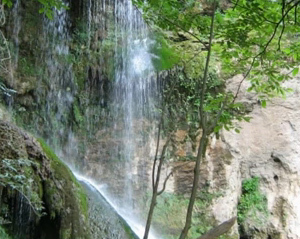 “Vidimsko praskalo” waterfall – located near the village of Vidima, where his name comes from. Its waters descend from the rocks from a height of 80 meters. There is an eco-trail called “Vidimsko praskalo”, which runs parallel to the Pskalsk River. There are a lot of information signs in the area to help tourists. A narrow path leads up to the waterfall. Skaklya waterfall, but this time in the Iskar Gorge, near Bov Station. It is about 80 meters high. It is said to be one of the highest and most beautiful waterfalls in Bulgaria. 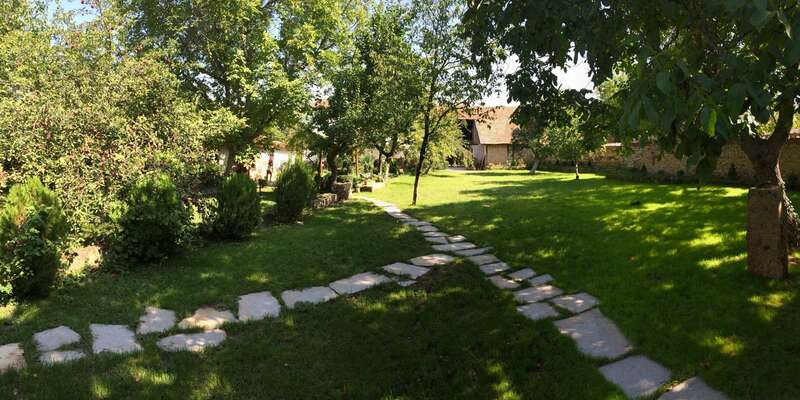 To make it easier for tourists around it there is an eco-path and also convenient picnic spots. A curious fact is that this was one of Ivan Vazov’s favorite places. Waterfall “Kademlijsko praskalo” – its name comes from the Kademliiska River on which it is located. The waters of the 1500 m high waterfall have a 70 m fall. Near it is the Tazha hut. The beauty of the waterfall can be seen through all seasons and, in addition, access to it is easy. Waterfall “Sjolodolsko padalo” – this is the leader of the Rhodope Mountains. It is about 50 meters high. 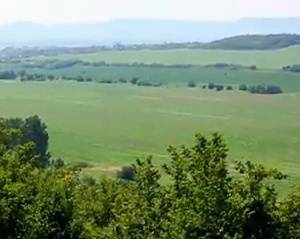 It is located in the Slivov dol area, in the Red Wall Reserve, over Bachkovo. The path to it is marked with appropriate signs and information. Hotnitsa Waterfall (Kaya Bunar) – say that when you visit this waterfall you will be sure that Bulgaria really has incredibly beautiful natural landmarks. It is 15 km away. 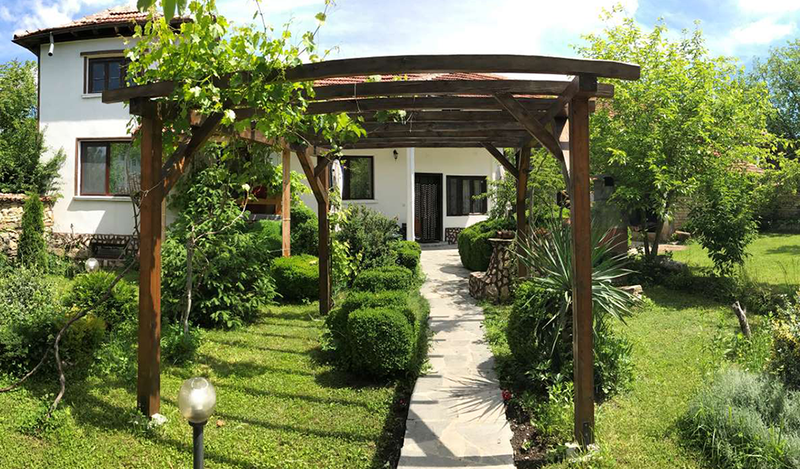 from Veliko Tarnovo, in a place where many bridges and stairs have been built – for the convenience of tourists. You can go by car leaving the village of Hotnitsa. The road goes as far as the waterfall. “Skakavitsa” waterfall – the highest in Rila, and also attracting with its beauty. It is available in all seasons. It is close to Skakavitsa hut. As it freezes during the winter, ice climbing competitions take place. Waterfall “Samodivsko praskalo” – the high waterfall about 45-50 meters is one of the most beautiful in Bulgaria. It is situated near Devin, and it is reached by the eco-trail “Laka”. A waterfall near the village of Krushuna (Krushuna Waterfalls) – although not among the highest – the main waterfall is about 20 meters – the Krushuna waterfalls are very beautiful and visited throughout the year. An eco-path has been built, thanks to which one can enjoy the natural composition that enchants with crystal waters, a string of smaller waterfalls and dense vegetation. The advantage of Krushuna Waterfalls is that there is quick and easy access to them. You could stay in the village of Krushuna and from there as a starting point for a few days to explore the area or enjoy longer on the curves of Krushuna waterfalls to feel the impact of nature more fully. 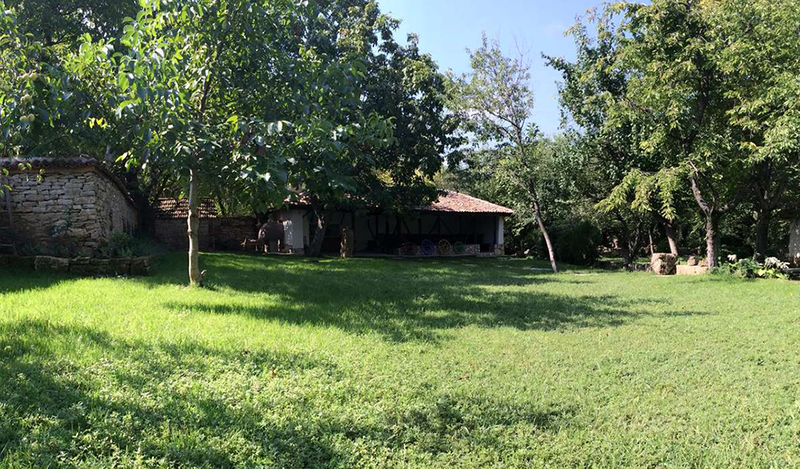 Welcome to the Old House, located in a convenient starting point for excursions to the beautiful surroundings of the village of Krushuna.